Harav Mordechai Gifter zt'l was born in 1915, in Portsmouth, Virginia. He was raised in Baltimore, Maryland where his father Reb Yisroel owned a grocery. He attended the Baltimore City Public Schools and received his religious education in after-school programs. As a young man Rav Gifter studied in the Rabbi Isaac Elchonon Theological Seminary of Yeshiva University in New York, New York, under the tutelage of Rabbi Moshe Aaron Poleyeff and Rabbi Moshe Soloveichik. His uncle, Dr. Samuel Saar, was the Dean of the Seminary. In 1932 at Saar's advice, Gifter traveled to Lithuania to study in the Telshe Yeshiva. Rav Gifter was immediately accepted for admission and placed in advanced classes. He developed a strong bond with Rabbi Zalman Bloch, the Dean of Students at the yeshiva. He eventually became engaged to Bloch's daughter. In 1937, prior to his wedding, Rav Gifter returned home to the United States to visit his parents in Baltimore. He planned on returning to Lithuania for his wedding and to resume his studies. When it became obvious that he would be unable to return due to the political climate of the late 1930s, he arranged for his bride's family to join him in the United States. Only his bride came; the family chose not to abandon their community in its time of greatest need. The Gifters married in Baltimore, with Mrs. Gifter's family still in war-torn Lithuania. Shortly thereafter, Rav Gifter was appointed to the pulpit of the Nusach Ari Synagogue in northwest Baltimore. He soon became well known as an invigorating speaker and refined orator. His lectures and addresses became popular throughout the Baltimore area, and his national reputation began to grow as well. In addition to his rabbinic position Rav Gifter was appointed an adjunct lecturer at the expanding Ner Israel Rabbinical College headed by Rabbi Yaakov Yitzchok Ruderman. He was the first native Baltimorean to lead a congregation in the city. In 1941 Rabbi moved to Waterbury, Connecticut and assumed a rabbinic pulpit in that community. 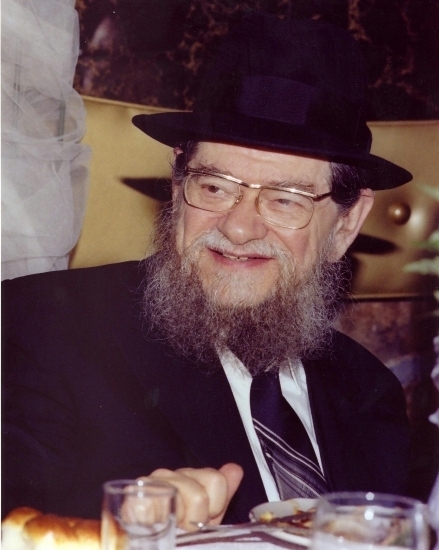 In 1944 Rabbi Gifter was called to moved to Cleveland, Ohio to join the faculty of his alma mater, the newly re-established Rabbinical College of Telshe, which was moved from Telshe, Lithuania to Cleveland. The original school and Telshe community were almost completely destroyed by the Nazis and Lithuanian militia. In 1964 he was appointed assistant Dean to Rabbi Boruch Sorotzkin.